Author: Carl Johan Calleman, Ph.D. has dedicated his life to identifying the underlying evolutionary processes that govern human history and our individual lives. Due to the major shift in mass consciousness, which necessitates finding the 777,000 ASAP, our focus has changed. Consequently, this stage needs to realign with the dynamic nature of spiritual operation. 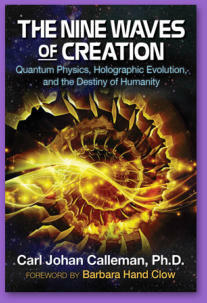 Since learning of the Nine Waves of Creation from an I.D.E.A. Director Dr. Carl Johan Calleman, it became obvious that his understanding of cycles held great value to our work. We are happy to announce the posting of his articles in Stage Cycles, which includes helpful information on the 36-day cycle in the Days and Nights of the Ninth Wave. The material here in the former downloadable PDFs from the Full Circle: The Mysteries Uncloaked Globe D, has been combined with Full Circle: The Mysteries Uncloaked and is incorporated into Suzzan's new 2-volume treatise: AMERICA’S HIJACKED DESTINY... that will be available shortly. We look forward to posting Carl’s insights to help us navigate the Ninth wave. August 14, 2017 | By: Calleman | Article by Carl Johan Calleman, Ph.D. I have found that a large number of people still believe that the Mayan calendar ended in 2012, not only those that took a casual interest in this calendar, but also some of those that were quite engaged. Possibly partly because of disappointment everyone in the latter group did not fully assimilate the discussions that did follow upon 2012 in order to understand what had happened. I should already here recognize, as I did in an article written on my blog on December 31, 2012 and later in my book The Nine Waves of Creation that I have also myself contributed to the confusion regarding the so-called “ending” of the Mayan calendar. At least I have however corrected myself and taken responsibility for my part in this. Yet, that a whole field of researchers gets it wrong is nothing unusual in scholarly endeavors. Moving through such errors is what the scientific process is all about. What is important is however that the errors are corrected so as to create a new opening for understanding and this is what I am going to discuss in this article. For some, this may seem like a somewhat technical article, but on the other hand the topic remains of critical importance for our understanding not only of the past but also of the future of humanity. Thus, I think it is worth diving into the matter. The Mayan calendar itself was not wrong. A large number of researchers and students of this were however wrong on a critical point and I am not talking about silly Hollywood disaster moviemakers, but of the serious people. Because of this error in our understanding of the Mayan calendar we have to make the appropriate corrections if we are to arrive at a new and expanded understanding of this. To begin with we may wonder from where the idea came that the so-called Long Count would come to an end. When people used to talk about the “end” of the Mayan calendar they were actually referring to this particular calendar, the Long Count, which is a wave form that have been developing in phases called baktuns of 144,000 days each starting in 3115 BCE. (We will here leave aside the question of when this began exactly and in what context the Long Count existed to other waves). This was the highest frequency creation wave followed by the Ancient Maya, which is not surprising since at the time no wave with a higher frequency had been activated. Hence, to them the Long Count was their main chronology to which they related especially their own dynastic histories. A critical question regarding the purported end of the Long Count is then how many baktuns this was supposed to consist of. Is the Long Count constituted by thirteen baktuns, of twenty baktuns or is it in fact endless going into the future never to end? If it would have been thirteen baktuns long then it would have ended in 2011 (or 2012) and the world would have experienced a profound discontinuity as the Long Count conceivably would have been followed by a new cycle. If it would be twenty baktuns long then its end would generate a discontinuity in 4772 CE, but if it was in fact endless there would never be any discontinuity or end of time generated by the Long Count. There would only be an ongoing wave movement going up and down with its shifting phases (baktuns). Hence, there are three different possible solutions to the problem. Although the contemporary Maya hardly argued that their calendar would come to an end, they had long since (about 1000 years ago) ceased to follow the Long Count or any of the other higher waves of the calendar system. Hence, modern scholars had to rely on what they could gather from the archeological findings about the calendar system of the ancient Maya. Quite a few archeologists would argue that the Long Count would be limited to thirteen baktuns and this included in the very influential book The Maya written by Michael Coe. He originally placed the end of the Long Count after thirteen baktuns to 2011, but later changed it to 2012. This shift date was then picked up as being of significance by some early pioneers giving the Mayan calendar meaning, such as Peter Balin and Frank Waters. What had a much greater impact was however when Jose Argüelles wrote The Mayan Factor and said about December 21, 2012: Then it shall be ready. The unique moment. The moment of total planetary synchronization, 13.0.0.0.0. on the beam, will arrive – the closing out not only of the Great Cycle, but of the evolutionary interim called Homo sapiens. Amidst festive preparations and awesome galactic-solar signs psychically received, the human race, in harmony with the animal and other kingdoms and taking its rightful place in the electromagnetic sea, will unify as a single circuit. Solar and galactic sound transmissions will inundate the planetary field. At last, the Earth will be ready for the emergence into the inter-planetary civilization. To Argüelles there was obviously no doubtthat the Long Count was limited to thirteen baktuns and that the date this would come to a close would generate a profound discontinuity as described above. Yet, few people would probably agree today that the above was a good description of what happened on December 21, 2012, which by all standards was a very uneventful day. Something must have been wrong here. Argüelles himself however had passed away about a year earlier and we do not know what he would have now said about it. As far as I know none of his followers has taken up the mantle and addressed the issue. This again raises the questions as to whether the Long Count was truly thirteen baktuns and if it was not, could this explain why there was no such discontinuity on December 21, 2012 as Argüelles had envisioned. Could it then be that the idea that most archeologists had been promoting, namely that the Long Count was limited to thirteen baktuns was in error? Certainly, it was on their information that Argüelles had based himself. I should here say that Argüelles was not alone among more visionary researchers to hold the idea that the Long Count was limited to thirteen baktuns. He just came out first and was the most influential proponent of this. I myself also essentially believed the archeologists to have been right and so did the late John Major Jenkins, who gave one of his books the subtitle The true meaning of the Maya calendar end date. To our defense, and to the defense of the archeologists, there were in fact some very good reasons to believe that the Long Count should have been limited to thirteen baktuns. One is the prominence of the number 13 in the sacred tzolkin calendar of the Maya, which is a microcosmic matrix for all the waves including the Long Count. Another the fact that there are many inscriptions from the ancient Maya describing a pre-Long Count lasting from 8240 BCE to 3115 BCE, which was then in fact thirteen baktuns. If so, why would not the Long Count similarly be limited to thirteen baktuns. Indeed, if the Long Count would not be thirteen baktuns similarly to its preceding creation wave, this would be truly very mysterious. It would imply that the Long Count would not be a cyclically repeated phenomenon of identical duration as astronomical phenomena are. If the pre-Long Count and the Long Count did not have the same durations then they would have to emanate in the activation of waves in the quantum field and at the time for many this seemed unthinkable. From my own perspective I had always known that there were ancient Mayan inscription dates deep into the future, but had chosen to ignore them (I take it both Argüelles and Jenkins did the same). After all, most disciplines of study display some anomalies, outliers that cannot be understood from the established context and I thought those dates were examples of such. I thus only started to realize that there must have been something seriously wrong with the established idea about the Long Count when I heard from Dr Mark van Stone that there was in fact no evidence from the ancient Maya saying that this would be limited to thirteen baktuns. On the contrary, there was evidence from ancient times that they believed this to go beyond thirteen baktuns. I quote from van Stone’s book 2012 – Science and Prophecy of the ancient Maya: There are bits of evidence suggesting that although the Maya reset the Long Count at the last 13.0.0.0.0 they don’t plan to do it in 2012. At least some of them expected no more recreations after this one. After 13.0.0.0.0 would come 14.0.0.0.0 and 15.0.0.0.0, and on up. (We are in other words now in the fourteenth baktun of the Long Count and not in the first baktun of a new cycle). The evidence for this comes from Yaxchilan, Palenque and Tikal, places that were at the leading edge regarding calendars in the ancient Mayan world. For example, at the Temple of the Inscription in Palenque there is a relief describing different (presumptive) celebrations of the anniversaries of the coronation of Pacal. One of them points to a date 1.0.0.0.0.8 (1 Pictun, 0 Baktuns, 0 Katuns, 0 Tuns, 0 winals and 8 kin) in the future, which would point to the year 4772 CE. The point is not here only that this date shows that the Mayan Calendar in the view of the Palenqueans continued well beyond our own time. This notation also shows that the Long Count was not expected to reset in 2012, in which case it would have been described as 7.0.0.0.8 (deducting 13 baktuns from 1 Pictun, which corresponds to twenty baktuns). In the ancient view the Long Count would thus not reset with a discontinuity on December 21, 2012, but would go on to at least twenty baktuns and maybe the added 8 days was a message that it would go on endlessly, which is what I believe. This was profound knowledge and meant that the whole idea of a discontinuity at the end of the Long count lacked a foundation in ancient sources. 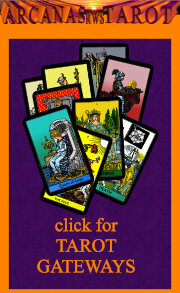 The Mayan calendar did not end and there was no indication that a new cycle would begin in 2012. Starting with my article Some New Reflections on the Mayan Calendar “end” date from December 31, 2012 I began to correct my earlier view and develop one where there was no end to the wave movement of the Long Count (or any of the other eight waves of creation). The consequences of these discoveries by van Stone were profound as they meant that logically speaking all the waves of the Mayan calendar system, not only the Long Count, should continue into the future. In principle we can then still understand what is happening in the world from the interference patterns of these different waves of the Mayan calendar, although they may not always be easy to interpret. While obviously John Jenkins must also have been surprised at the uneventful nature of December 21, 2012 date, it was his long time supporter Geoff Stray who addressed the issue of the duration of the Long Count in an article of July of 2013 called Mysteries of the Long Count which he sells on his web site. This is a good article and describes in much detail what views different Mayanist researchers in the past had held regarding the duration of the Long Count. His conclusion is essentially the same as mine, except that while I clearly say that the idea of a thirteen baktun Long Count was wrong, he merely entertains this as a possibility. While he criticizes the archeologists for not having gotten it right, he does not take a clear stand for twenty baktuns or more himself. Since John Jenkins endorsed Stray’s article we have reasons to assume that it reflected also the view of John and in fact may have been what ultimately defined his legacy regarding the Long Count. But why, we may ask, did Stray not take a clear stand regarding the duration of the Long Count to say that it was actually twenty baktuns (or more). I think he had strong reasons to avoid this, We should then remember that Stray before the shift would say that on the very day of December 21, 2012 there would, because of the “galactic alignment” of the midwinter sun, be a burst of DMT (dimethyltryptamine) affecting many people, which would generate a widespread transformation. Again, this did not happen on this date and so for him there was little reason to claim that the Long Count would have been limited to thirteen baktuns. Why then did he sit on the fence about it and did not clearly recognize that the Long Count is at least twenty baktuns? This is explained by the fact that this would make irrelevant all what he had been saying for so many years about a galactic alignment and the precessional cycle’s role for this. All of this would go out the window because if indeed the Long Count was not limited to thirteen baktuns the shift on December 21, 2012 would not have had the meaning as an end date as Jenkins had proposed and so the whole idea of a galactic alignment would be exposed. There was in fact no ancient Mayan text mentioning anything like a galactic alignment or a 26,000 year precessional cycle that this was linked to. These were ideas made up and believed by modern people. It should here be mentioned that, based on the idea of a thirteen baktun duration of the Long Count, many of Jenkins’ followers had come to believe in a precessional cycle of 26,000 years. They thought this was the basis of the Mayan calendar because it seemed that the duration of five Long Counts, 5 x 5,125 = 25,500 years was so close to the duration of this astrological cycle. Consider then what would happen to this correspondence if the Long Count (which after all Stray implies) would be twenty baktuns. Then five presumed Long Count cycles would have a total duration of 4 x 5,125 + 7,900 = 28,400 years, which would not jive very well with the precessional cycle. The whole theory that the Mayan Long Count would be based on the precessional cycle would then also be exposed at least among critically thinking people. This is presumably the reason that Stray does not take a stand regarding the duration of the Long Count as either way – whether the Long Count is thirteen or twenty baktuns – the idea of a precession-based galactic alignment in 2012– would be seen to lack any foundation. Despite Stray having written this article and Jenkins endorsed it you however still find people who believe that the Mayan calendar was based on the 26,000 year precessional cycle and that this ended on December 21, 2012. Based on Stray’s own arguments this can however not possibly have been the case. Regardless of the fact that Stray does not draw the full consequences of his article it is however well worth reading. Someone may then wonder why the ancient Maya wrote the Tortuguero Monument No 6 inscription about the recent shift if this was not indeed an end to the Long Count. And yes, it is actually quite astonishing that the Maya some 1500 years ago wrote an inscription pointing to a very profound shift in our own time. They must then have seen that this indeed was a very significant shift. And here comes what may be the most difficult for many to understand: The October 28, 2011 date (or as some believe December 21, 2012) was not an important date because it was an end date, but because it was a synchronization date. The meaning of Bolon Yokte Kuh (The nine step divinity – Bolon means nine in Mayan language) appearing in his full regalia (as the inscription reads) is important because for the first time in the history of the universe all nine waves (the full regalia of the nine level god) had been activated by March 9. 2011. They were actually for a moment in time in October of 2011 also synchronized and in the same thirteenth phase at this particular shift date. This was indeed a highly significant shift opening up for a new era determined by a new interference pattern between different waves that we are living in now. Yet, in this may be the main point of this article: this had nothing to do with the Long Count coming to an end. Fig 1. The Long Count did not come to an end on October 28, 2011 (or December 21, 2012). What happened on this date was that all the nine waves for the first time in the history of the universe were all synchronized and went into a phase shift together. Bolon Yokte Kuh the nine level “god” now appeared in his full regalia. So over all, all of the major players (including myself) who were involved in the Mayan calendar before 2012 were in error when it came to the idea that the Long Count would then come to an end. We were right however in that there was a very significant shift as heralded by the Tortuguero monument. This shift was however not based on an ending of any wave, but on the activation of all the nine waves of creation and their synchronization, which are now (including the Long Count) continuing to run in parallel shaping the destiny of humanity. The new interference pattern between these waves creates both challenges and opportunities. The opportunity essentially lies in creating resonance with and following the guidance of the Ninth Wave, which is the one that is manifesting the unity consciousness that will shape the future of humanity. Despite what many seem to believe the Mayan calendar did not end in 2012 (or 2011). April 17, 2017 | Archives for Calleman | Article by Carl Johan Calleman, Ph.D.
Today on August 4 begins another wave period of the Ninth Wave giving guidance and direction for all those who are committed to the destiny of humanity as one of unity consciousness. Each such wave period is a total of 36 days long that is divided into a DAY of 18 common days followed by a NIGHT of 18 common days (http://www.xzone.com.au/9thwave.php). The beginning of such a wave period is an important time for everyone to light a candle as it marks a shift in human creativity. This is just as true for August 4 as it was for May 24th and June 30th or will be for the upcoming September 9, 2017. The peaks (also called DAYS) of the Ninth Wave are times when the light in the movement towards unity consciousness shines through. This is true especially for those individuals that are committed to bringing humanity in this direction, but also on a collective scale it will over time become increasingly visible with consequences on a national or global scale. Yet, we are early in the development of this wave that was activated in 2011 and it is not visible to everyone. Since August 4 is the beginning of a DAY of 18 days and this wave is supportive of a movement towards peace and unity it is an important opportunity for those seeking such a direction to listen attentively to any guidance that now may come forth regarding our individual courses in life. The shift to a NIGHT in this wave period may however be what is interesting to most as it happens on August 22, and hence follows directly upon the full solar eclipse that is visible in parts of US on August 21. The solar eclipse in other words initiates a NIGHT of the Ninth Wave. This full solar eclipse is according to most sources the first to happen in 99 years in the United States and since it is exclusively visible in this country, it has mostly been interpreted to be linked to the fate of this nation. To indigenous peoples solar eclipses are overall considered as negative omen and by medieval astrologers they were typically believed to herald the downfall of a king or dynasty. It is then natural that many current day astrologers have suggested that the event somehow pertains to Donald Trump. After all this solar eclipse is limited to the United States and the political crisis in the Trump administration has become a constant. By the standards of political normality any period so far this year could be a qualified as a downturn, but at the current time the political chaos is also intensifying. To predict a further downturn for the Trump administration can hardly be said to be a very original idea. Whether there is a solar eclipse or no solar eclipse this is still happening. I have however argued that Donald Trump ultimately does not cause this erosion of the political system, but that rather he may be the person who is best suited to manifest the downturn that is inherent in the shift into a NIGHT in the Sixth Wave. This energetic downturn primarily hits the Western powers and so in particular the US and the UK and for this reason an erosion of the powers of those two nations are running in parallel. The way it manifests in the UK is that now after the activation of Article 50 (calling for the withdrawal of the UK from the European Union) it has become quite clear that most foreign banks will move their European headquarters away from the city of London. Given that its financial centre has been what has remained of the British Empire this is not a small thing, and is a marked part of the downturn of the West. Similarly, in many regards, such as climate politics, many other nations are starting to count the US out, leaving the US increasingly isolated at least from its traditional allies in Europe. In this perspective the impaired standing of the US and UK in the eyes of the rest of the world is not really caused by Trump and Brexit. Rather Trump and Brexit are serving to manifest what in one way or another was going to happen anyway because of the fact that the Sixth Wave has turned into a NIGHT. Fig 2. shows how in the ancient view of the Mesoamerican peoples the Plumed Serpent (the sine wave) would bring civilizations as peaks began and abandon them as the valleys began. Fig 2. The rise and fall of significant civilizations as a result of the movement of the Sixth Wave. Note that the seventh of its peaks for the first time in human history generated a global civilization. It should here be pointed out that overall the Sixth Wave (with a wave period of about 800 years) provides a much larger perspective than the Ninth Wave (wave period of 36 days) and even more so compared to a solar eclipse on a singular day. The Sixth Wave actually among many other things describes the chief development of civilization going back to its early beginnings in Sumer and Egypt about five thousand years ago (See fig 2). So while the downturn of Western dominance is a phenomenon that will manifest over the next four hundred years, the higher waves such as the Ninth Wave will still play an important role for what is happening in our most immediate future. The high frequency of the Ninth Wave gives it a high power even if it has not yet been active for a time comparable to that of the Sixth Wave. Hence, while it can be considered a certainty that the Western powers will not continue to dominate over the rest of the world for the coming 400 years, it is not certain how and exactly when the global balancing process setting an end to this will occur. The solar eclipse may herald an event along such lines, but my own guess is rather that it will temporarily strengthen the old order of dominance of corporations and billionaires symbolized by Trump. After all, the solar eclipse marks the beginning of a NIGHT in the Ninth Wave and those are not the periods that are the most conducive to unity consciousness. Fig 3. The shift in the global and individual minds as a result of the shift from a DAY to a NIGHT in the Sixth Wave. So even if the upcoming 66th period of the Ninth Wave (beginning August 4 and including the solar eclipse) is likely to play a crucial role for defining the future fate of the United States, I believe the 67th is the one that will be decisive for this. The latter Ninth Wave period begins with a DAY on September 9 and turns into a NIGHT on September 27, 2017. The reason the latter is likely to be an ominous day is that the Eighth Wave then simultaneously turns into a NIGHT and will remain in this state for all of the following 360 days. For this whole time period until September 22, 2018 it will only be the Ninth Wave that provides any spiritual LIGHT to humanity. And so, even if this is an energetic scenario that would be ideal for creating balance and equality on a global scale (and hence prepare for a more balanced and peaceful world) it is likely to become a very difficult process to accomplish this. While the light of the Eighth wave will come back on September 22, 2018 it will go out again in another 360 days and the stabilization of a world in balance may not be apparent until 2031 (when the Seventh Wave turns into a DAY). Reasonably then the upcoming thirteen years will be a challenge to us all, since the waves influence the mind of all levels of the universe, galactic, heliospheric and planetary as well as our own human. The foundation for lasting peace after 2031 will be built during this time ahead, but this balancing will largely be effected by turning out the light from the dualist waves (See Fig 2) so that the transformation may come to take place because of a potentially destructive darkness. Following September 27, I believe we will then have to adapt to an interference pattern of the creation waves that more than ever before shakes up our ingrained beliefs as to what we are here for. We will have to learn how to follow the only wave that will provide light, which is the Ninth Wave. 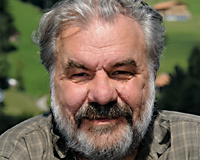 Carl Johan Calleman, Ph.D is the author of several books based on the ancient Mayan calendar system including the most recent The Nine Waves of Creation (Inner Traditions, 2016). The Ninth Wave is the creation wave that was activated on March 9, 2011 and has continued to run ever since. By all accounts it will continue to oscillate as a sine wave without end. It is the highest frequency wave of the Mayan calendar system and has a complete wave period of 36 regular days. A new such wave period, which was the 63rd wave period since its inception began April 18. In contrast, the marking and empowering of the beginning of new days (or peaks) of the Ninth Wave, for instance on April 18, May 24, June 29, and August 4, 2017 etc are not one-time events. They, as well as any other starting point of such a wave period are about creating awareness in yourself and others of the existence of a wave generating unity consciousness and to help you tune in to the frequency of this. This wave is the positive forward-moving wave that was created in the shift of 2011 that leads to the manifestation of the destiny of humanity as a unified species and no one talking about being part of the shift should ignore it. What this means is that it is especially in the peak periods of the Ninth Waves that projects towards unity consciousness will have wind on their backs and this is true also if your project is simply yourself and your way of being in the world. This also means that you will have to gain and spread awareness of this wave so that you as an individual can gain the necessary guidance for how to be and act in this world even under very chaotic conditions created by lower frequency waves. This guidance is given to you especially during the peak periods of the wave whereas the valley periods are essentially periods of reaction when you have to deal with whatever in yourself is inconsistent with the manifestation of unity consciousness. 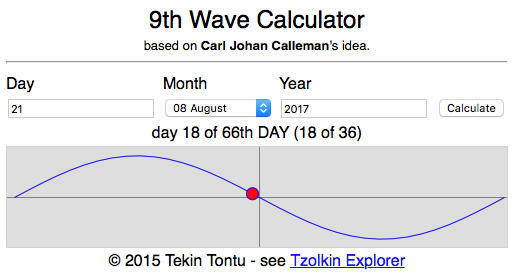 This insight can only be gained from your own experience and the fact that I or someone else may be advocating creating the awareness of the Ninth Wave has little import if this is not consistent with how you experience the ups and downs of the 36-day wave form. It is only to the extent that you are able to experience your awareness that this wave form fundamentally is what conditions your process towards unity consciousness (or ascension as some would prefer to say) that you will successfully be able to tune in to the frequency defining the destiny of humanity and allow you to be part of manifesting this. What this means is that the crucial thing is to be able to observe yourself in relation to the wave form and this will come out of learning how to tune in to it. This does not by itself require that you participate in large scale ceremonies or meditations although such events will help alert you to what is happening in the energy field that underlies the material aspects of our existence. It is perfectly sufficient that you light a candle or a sacred fire or face the sun on the first day of a day to mark that for the next 18 days you – as a being committed to the creation of a Golden Age – will have wind on your back. You may also pray for guidance for this time period regarding what steps you should take in your individual projects (and these may be very diverse) to have this come true. The development of resonance with the Ninth Wave is thus not a one-time event. It is something that will occur over time as you fine-tune your experience of it. This requires marking several of its beginning points and this is not really a process that has an end. Over time you will increasingly become an expression of the Ninth Wave, and if you believe in the return of Quetzalcoatl, or the Plumed Serpent, you will be it. Naturally, it may be argued that there are people that are manifesting unity consciousness without consciously having developed resonance with the Ninth Wave. Nonetheless, such resonance can still be a remarkable aid also to such individuals as it makes them fully aware of the existence of such a creation wave, which is directed towards the future of humanity in unity. To also actually follow this wave with its ups and downs may in addition provide a self-correcting instrument of great importance for those who try to navigate the many large waves that exist in the ocean of creation. To make an analogy we may look at tuning in to the Ninth Wave somewhat like tuning into a newly established radio station. First of all you and other people need to be informed that this station exists and for this purpose it is useful to stage public events informing about it. Secondly, you have to know at what frequency the station is broadcasting since otherwise you will not be able to hear it. Third, the listener may need to work to optimally tune in to the frequency so that he or she gets a clear signal. The latter is all the more important if there are several other stations that are powerfully broadcasting at competing frequencies that may make it difficult to hear the desired station. This is very much the case regarding the Ninth Wave since there are lower waves that prevent the listener from getting a clear signal. This is the real crux of the matter. Hence even if there are many groups and movements that are talking about Oneness, Ascension and fourth-dimensionality, but unless their work is connected to the Ninth Wave they will not be able to gain the guidance to get there. So will the world change on days such as April 18, May 24 or June 29? What absolutely will be enhanced during the 18 days following such dates is the potential for manifesting unity consciousness. Already now we may see some steps in the direction towards unity also on a global scale occurring on such dates. You may for instance make note of if certain ideas or persons in power are supported by the days or the nights. This will tell you much more about the future of a phenomenon than political opinions. Yet, nothing changes in the time periods that are days unless people tune into the energy shifts and change, who you are in the world as a result of your resonance with the Ninth Wave. Over time we will then see a strengthening of the process toward unity consciousness in such a way that actions and projects expressing unity are increasingly synchronized also on a visible global scale. Resonance with the Ninth Wave will in other words increasingly become a synchronizing factor for positive projects for the world. Personally, I believe that unless a large part of humanity develops such a resonance we have very little reason to expect that our species will survive. To counteract a potentially disastrous future we must then now urgently develop a collective calling to manifest our Golden Age destiny of unity through resonance with the Ninth Wave. And it can only happen day by day.